I put together a few easy salads based on kale that will get your taste buds going. It’s thought as an inspiration so feel free to mix and match as you go! Kale is a great winter vegetable. It’s beautiful, healthy and it stays fresh for quite a long time if stored cold. 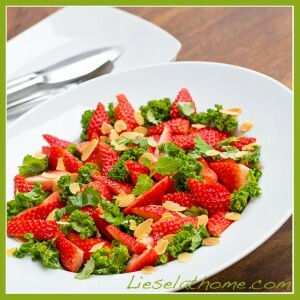 Previously I had only eaten kale warm, thawed from frozen cubes of pre-chopped pieces. If you mix it with creme fraiche and herbs if is actually a lovely side dish. But this year I started buying kale fresh from the weekly market, searched online for recipes to try, and then started experimenting. Then I normally make a dressing, but not necessarily. This one has a hint of summer to it! I absolutely love it and have made it several times these last weeks. plus a dash of vinegar (or lemon juice) and salt. You can also use balsamic vinegar instead of the tamarind paste (and then of course not add the extra vinegar dash) and tahini (which is a sesame paste) can be replaced with a nut butter. 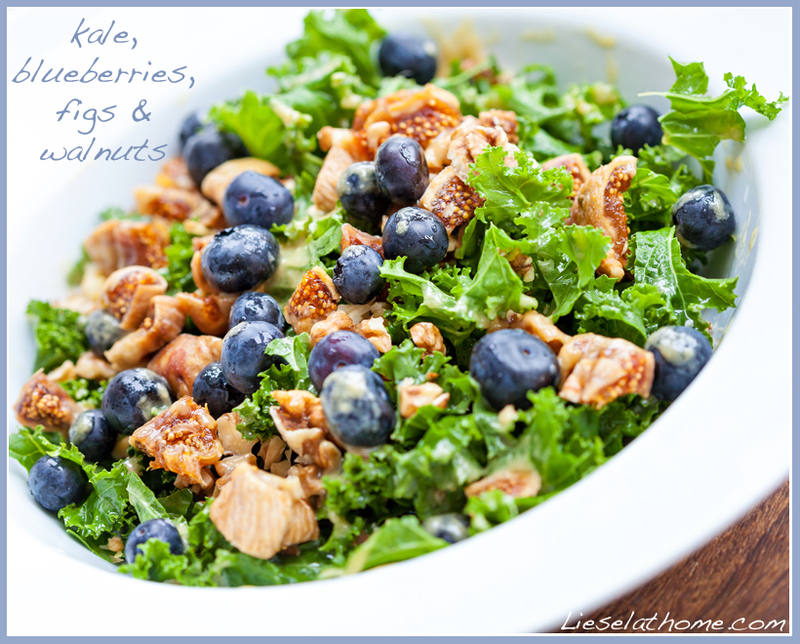 This is kale, blueberries, figs and walnuts. It looks like a lot of figs but it is actually just three dried figs cut to pieces. The peanut butter can of course be replaced with other nut butters. This is just a variation of the one above. I added on fresh orange and lemon balm. Sprinkled a few pumpkin seeds over, and ate it without any dressing. Perfect! The juicy orange combined with the sweet figs and the fresh lemon balm made this salad one of the few ones I like better without dressing! 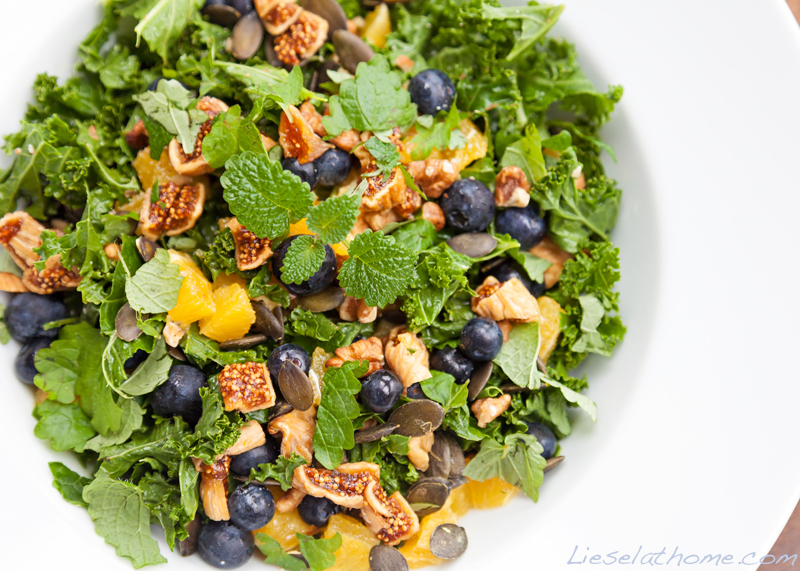 Kale, orange and walnuts – works with papaya too!! 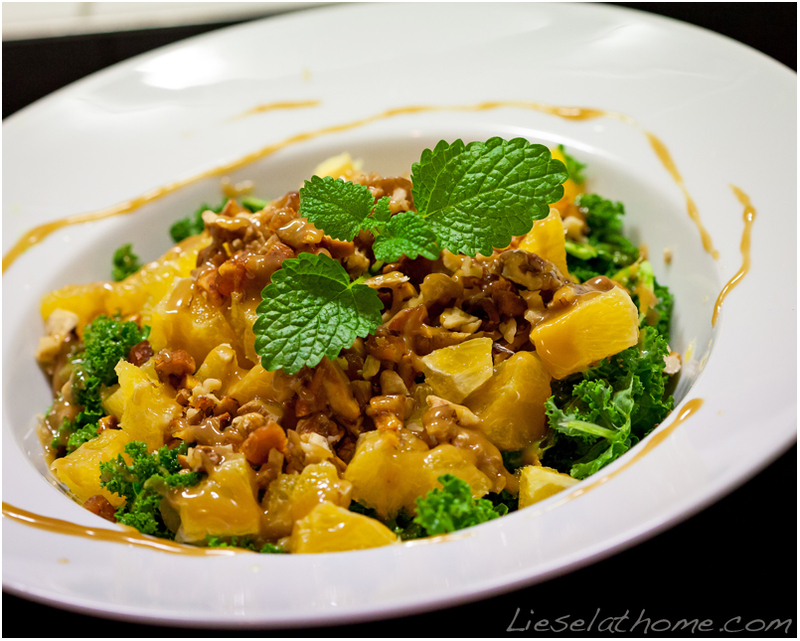 This is kale with fresh orange and walnuts. 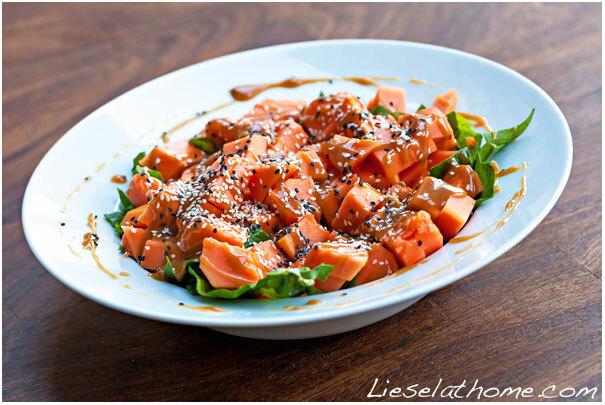 I have made the same with papaya instead of orange and that is amazing too! 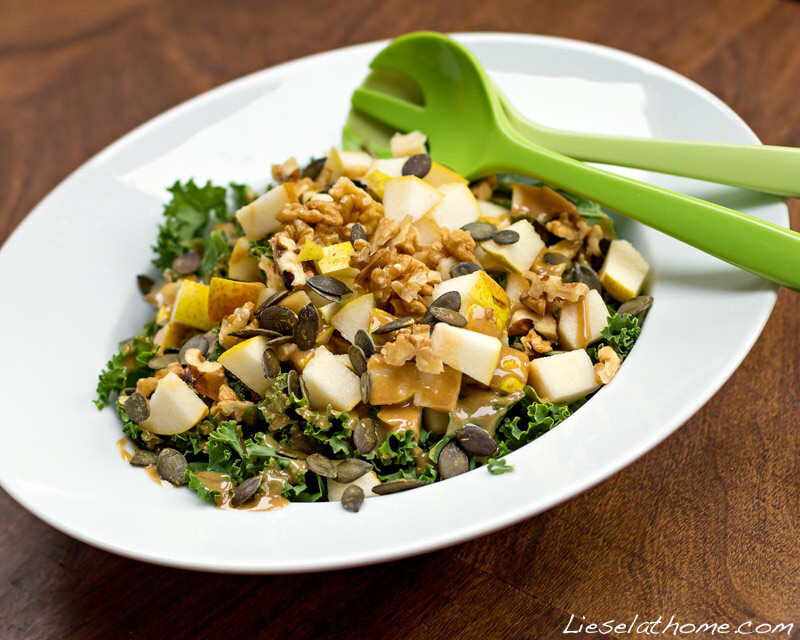 Kale, pears, walnuts and pumpkin seeds. Dressing is: tahini, olive oil, balsamic vinegar and salt. OK – that’s it! 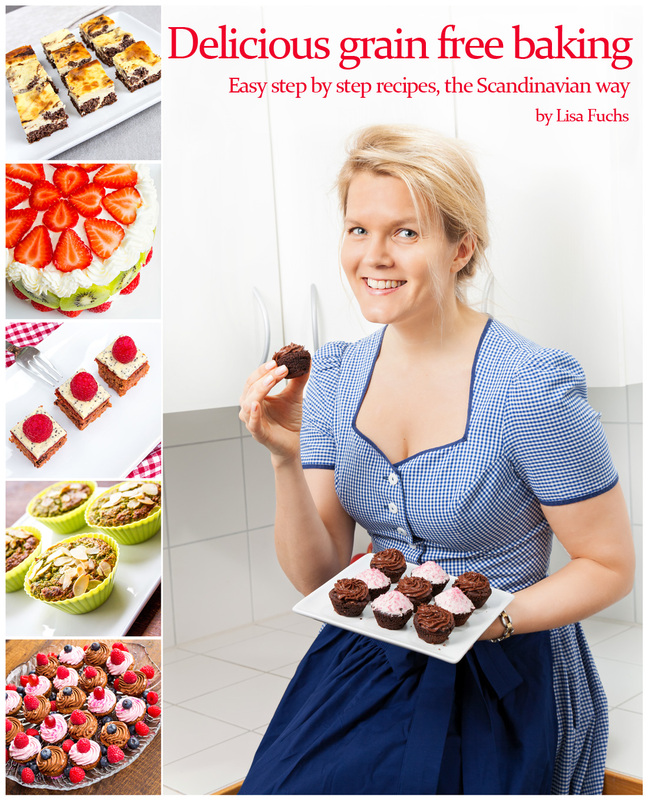 Try your own versions and you’ll soon be hooked! 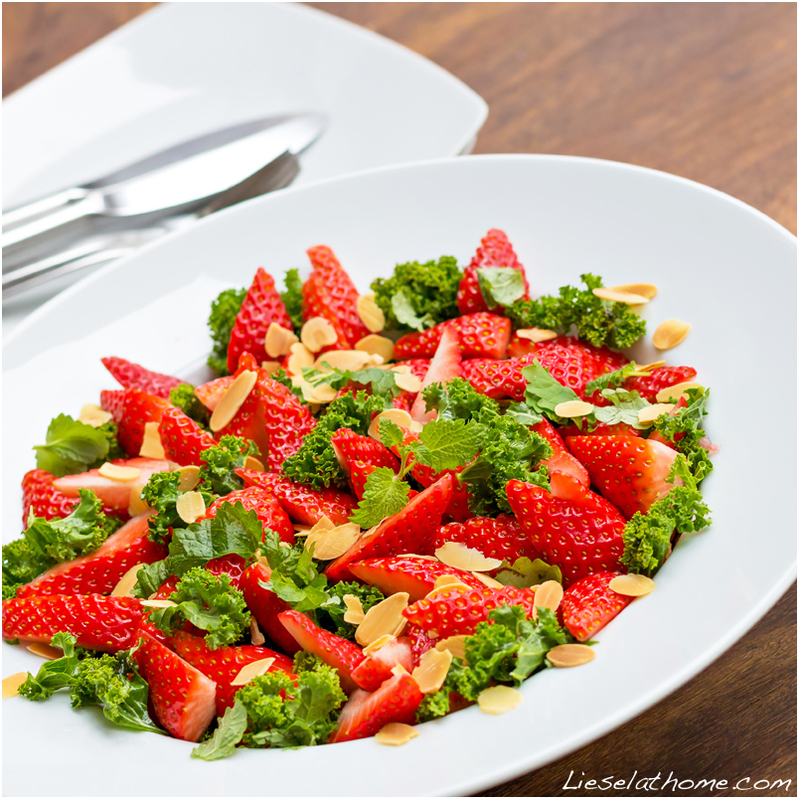 I tend to eat at least one kale salad a day… Delicious and provides you with a good doze of healthy stuff!